A sizzling, unputdownable sequel to Rebel of the Sands that will make you question everything you thought you knew about the land of Miraji! The gunslinger Amani al'Hiza never wanted to be a hero or a revolutionary, but now she's become a key member of the rapidly growing rebellion against the Sultan of Miraji. 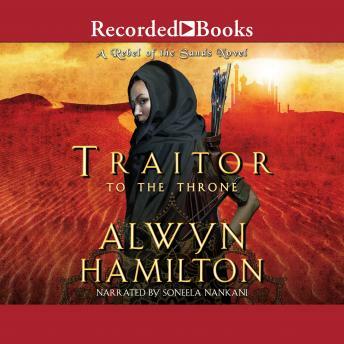 After Amani is captured by the Sultan's army and imprisoned in his palace, she realizes she's there not to be questioned as a rebel but used as a Demdji. As Amani tries to spy on the enemy and plots her escape, Jin and the rebels are brewing a rescue plan. But the longer Amani stays in the palace, the more she questions if the Sultan is the tyrant she's believed or just a ruler fighting foreigners for his country. As the rebellion swiftly spirals into war, Amani wonders whether she's on the right side.